In both civil and military aviation, the ultimate nightmare is a mid-air collision. 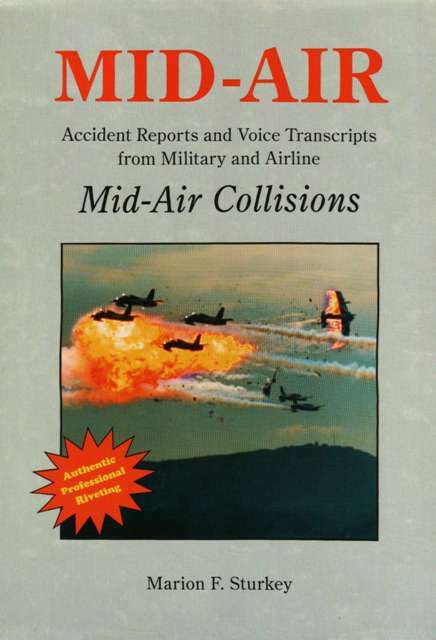 This book offers readers brutally authentic accounts of collisions involving both military aircraft and civil transports. Each chapter is a window through which readers re-live the aerial crisis, the voice transcript (where available), the collision, the investigation, and the “probable cause.” The author is a former military and commercial pilot. He eliminates the fog of aviation jargon and explains each accident in simple layman’s language. We chart our future by relying upon lessons learned from our past. This book is an eloquent and timeless journey into aviation history. It is a truly priceless resource for all aviation professionals and aviation enthusiasts. .